I've been planning an anniversary trip to a location i don't think would be many people's first choice but it has loads to offer if you look a little deeper. While you don’t have to wait until an anniversary to enjoy a swanky meal out with your other half, celebrating another year of your relationship is a splendid excuse to do just that. While the local bistro may be perfectly fine, it’s always nice to sample somewhere a little different – a place where you haven’t dined before, in a city you haven’t stayed in for a while, perhaps. Take a trip to the West Midlands for the evening and stay at one of the Travelodge hotels in Birmingham – spending less on accommodation means you can spend more on a beautiful meal at one of these incredible restaurants that can be found in the city. I've grown to love Birmingham and I've been visiting frequently over the past three years. I go there for blogger meet ups, gigs and to shop but I've only ever eaten fast food there like Five Guys. I would love to try something new and explore a culinary side of Birmingham that I haven't seen before so I've been doing a little research. Glynn Purnell has definitely made a name for himself over recent years, appearing on various television shows including the Great British Menu. His restaurant in the heart of Birmingham is one of the city’s Michelin-starred offerings, where this down-to-earth Brummie creates standout dishes including neck of lamb with basil emulsion, burnt lettuce and capers and beetroot mousse served with a horseradish crumble. Tasting menus are also available for £85 per person, if you want to go all out. Another familiar face if you watch the Great British Menu, Aktar Islam is the owner of Lasan which can be found in the heart of the Jewellery Quarter. His take on Indian food, combined with his ability to bring it well and truly into the 21st century, has been highly acclaimed by foodies far and wide. Another one of Birmingham’s Michelin-star restaurants, Simpsons has a top notch team working both in front, and back, of house, meaning that what you receive is nothing short of divine. There’s a range of menus for you to choose from too, including a la carte and tasting menus, so you can choose one that suits your timeframe, and budget. The 7-course tasting menu is £85 with a sommelier’s choice of wines to accompany, if you fancy it. Situated just off New Street, slap bang in the middle of the city, Adam’s was awarded 3 AA rosettes this year – one of only 11 outside of London to receive such an honour in 2014. While the restaurant is a newcomer, in comparison to some of the others that have graced the city’s streets for years, it’s got a bright future ahead of it. There are two tasting menus to choose from – five course and nine course – as well as a stunning lunch menu if you’re hoping to dine before enjoying the nightlife later in the day. If you fancy something a little different, Fumo is one of the many restaurants in the city that will provide you with a unique experience to remember. Its Italian-style tapas is perfect for a couple who wish to share their dishes as they share their lives. Plus, there’s an extensive cocktail menu, to wash it all down with. As a melting pot of cuisines – from street food to Michelin-starred fine dining – Birmingham has something for every palate. Treat your SO to a gorgeous meal in the city this summer, and let your tastebuds do the talking. 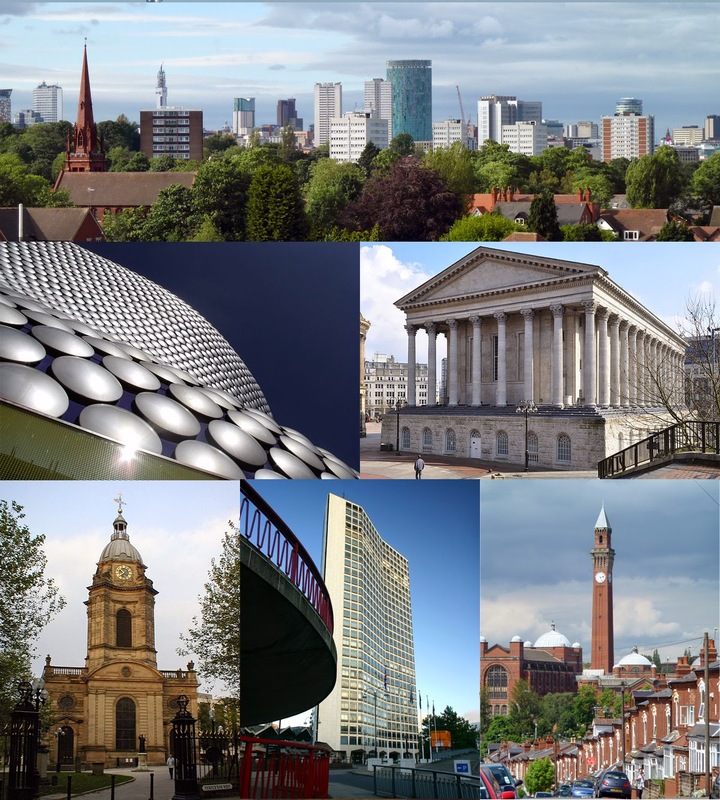 Do you have any Birmingham recommendations for me? I've heard that Birmingham has the most Michelin star restaurants outside of London. Not a Michelin star one, but I highly recommend Turtle Bay. Great Caribbean food, good cocktails and right by Brew Dog and Cherry Reds for drinks afterwards!